City landmark to remain open throughout the remodel, which will include splitting the theater’s two auditoriums into four and restoring historic murals. 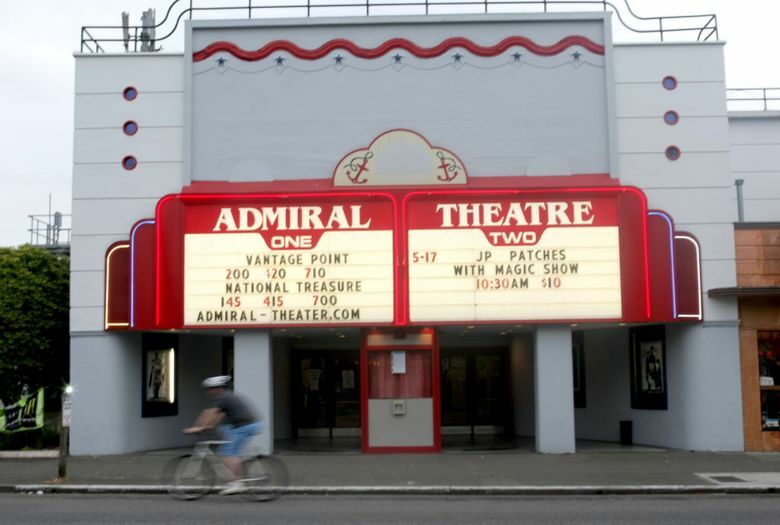 The Admiral Theater in West Seattle, one of the city’s oldest movie theaters, will undergo renovations this fall — designed to upgrade the theater and to restore some of its historic detail. Jeff Brein, managing partner of Far Away Entertainment (which operates the Admiral), said that the theater would stay open throughout the remodel, and that much of the work would be done outside of movie business hours. The theater’s two auditoriums will be split into four — two of which will have new stadium seating — with new digital laser projectors and upgraded sound. And on the low-tech front, history buffs have a treat in store: Handpainted murals on the auditorium walls, hidden under curtains for decades, will be revealed. The theater, originally built in 1919 and called the Portola, was renovated and renamed the Admiral in 1942, with a nautical theme that it retains today. It nearly closed its doors permanently in the late 1980s, but a grass-roots effort led by the Southwest Seattle Historical Society secured city landmark status for the building. The murals depict underwater scenes of “kelp, starfish, sea horses,” said Brein, who said the SSHS would work with theater staff on plans to restore them after the initial renovations are finished. Renovations begin Sept. 19 and are expected to be completed by mid-November, in time for the holiday movie season.